Leukopenia is when there are less than adequate white blood cells in the bloodstream which may make the person susceptible to infection. It can be a sign of serious disease such as Hodgkin’s Lymphoma, cancer, spleen enlargement, HIV, lupus or it may be due to an acute cold or influenza infection. People undergoing chemotherapy or radiation therapy can also have low white blood cell count. The World Health Organisation endorses and recommends acupuncture in the treatment of leukopenia as research has demonstrated that acupuncture can positively influence the white blood cell count. There are also many medications that cause leukopenia such as Wellbutrin which is used for depression and Minocycline which is an antibiotic. The Multiple Sclerosis medication Avonex also causes leukopenia. Can acupuncture help white and red blood cells? Research has also demonstrated that acupuncture can help for anemia. The research on leukopenia actually found that acupuncture is more effective that the drugs used to treat leukopenia caused by chemotherapy. 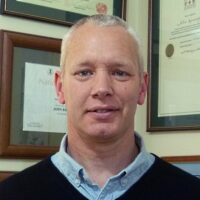 David Craddock, a well-known acupuncturist practicing in Ponsonby says “This does not surprise me. Acupuncture has already been shown in studies and trials to increase immunity, improve hormone readings and change enzyme levels so it’s only logical that acupuncture will improve red cell and white blood cell count. This clinic sees a lot of patients undergoing chemotherapy and radiotherapy and many come as a last resort just to try feel a bit better. They and their doctors are then surprised that blood tests improve”. Mr Shao Xing Xuan, a Qi Gong master practicing in Hong Kong and Shenzhen, also sees many cancer patents coming to him as a last resort. Patients of the Qi Gong master also confirm that blood tests are improving and scans even show reversal of tumors. Mr Shao says “It is probably decades away before the western universities consider researching the positive effects of qi gong on cancer. The concept of a Qi Gong practitioner standing at distance away from the patient, waving their hands and then being able to influence and change blood tests will scare away most researchers”. Some acupuncture points have names like “Sea of Blood” and therefore have an obvious influence on the blood. There is a meridian system in the body called the Chong meridian that basically equates to the modern circulatory system and is used for many disorders where the blood is involved. There are also many Chinese herbs that also can influence and improve the blood. 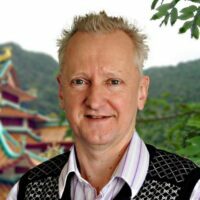 Trevor Pritchard who practices in Hamilton says “It is difficult to explain to a patient that the acupuncturist or Chinese herb physician aims to balance yin and yang, adjust excessive hot and cold imbalances and unblock energy in a specific organ. A positive change in the blood test is just a side effect of the acupuncture and Chinese herb treatment”.